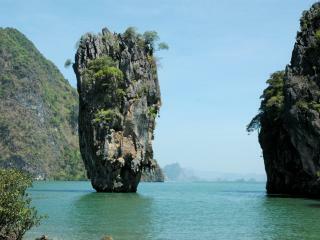 Boasting a spectacular range of attractions guaranteed to impress, Thailand offers the ultimate in adventure and fun. 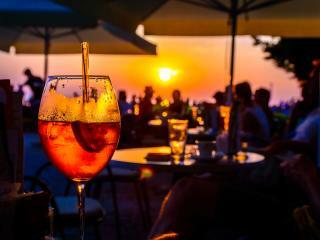 Explore ancient temples and UNESCO World Heritage Sites and discover the incredible cultural history. Marvel at the natural beauty of the Phang Nga Bay region while visiting Hollywood blockbuster locations and be amazed at the vibrant market places and entertainment regions of Phuket. 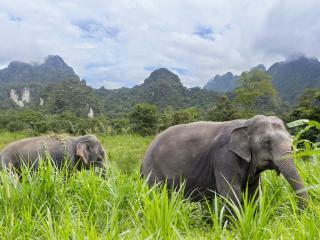 Whether you''re seeking action packed adventure or cultural discovery, Thailand attractions have got you covered. 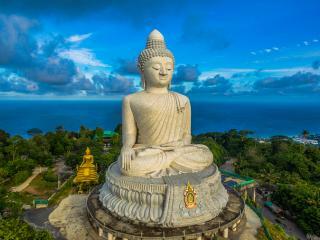 Offering 360-degree views of Phuket and its surrounding islands, Big Buddha is a spectacular cultural site that also provides some of the best views in Thailand. A 400m walking street in the heart of Patong Beach, Bangla road boasts a huge range of nightlife and entertainment venues that is often refered to as Phuket's party paradise. 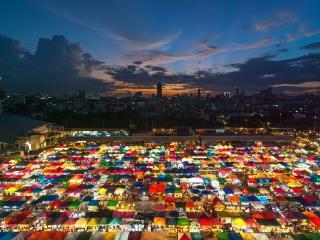 Known for its incredible open air bazaar of multi-coloured tents, the Roi Fai Market is an incredible destination for shopping, dining and entertainment. 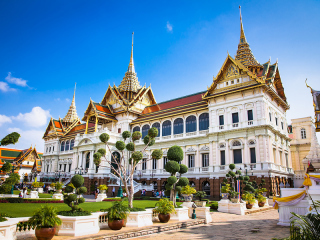 Located in the heart of Bangkok, the Grand Palace is a stunning complex of buildings that has been the King of Siam’s official residence since it was constructed in 1782. 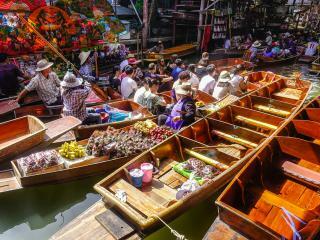 Known as one of the most recognisable and popular floating markets in the world, the Damnoen Saduak is an unmissable Thailand experience. 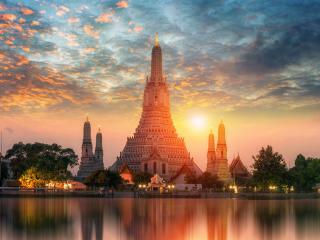 Renowned as one of the most picturesque landmarks in Bangkok, Wat Arun is a Buddhist temple, more commonly known as Temple of Dawn. Touted as one of the most fascinating sports in the world, Muay Thai boxing is an incredible spectacle and must-see attraction on your next Thailand adventure. Boasting shimmering turquoise seas, limestone rocky outcrops and scenery straight out of a postcard, Phang Nga Bay is a beautiful Thailand attraction that draws thousands of tourists from all over the world. 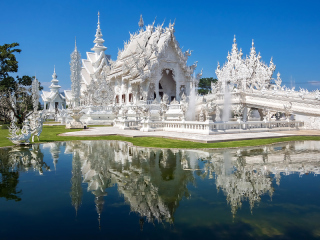 Featuring beautiful and intricately detailed architecture the White Temple is an incredible Thailand attraction that provides amazing photo opportunities. 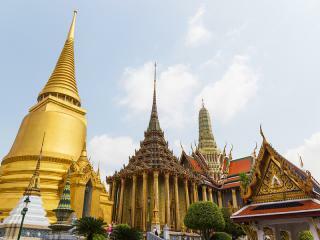 Built as a Buddhist monastery in 1396, the Wat Phra That temple is an impressive gold structure flanked by incredible architecture that is nothing short of breathtaking. Holding the title as Thailand's oldest national park, Khao Yai National Park is an amazing attraction that is home to an abundance of nature, wildlife and opportunity for adventure. 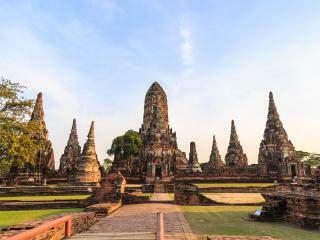 The Historic City of Ayutthaya is a beautiful attraction that is home to over 400 sacred temples and palaces dating back hundreds of years. 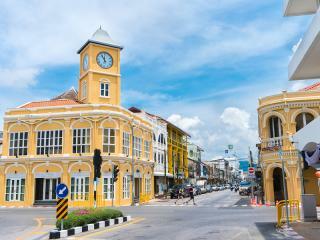 A far cry from the bustling streets of Patong, the old town is a a peaceful region where you will find temples, shrines, quaint cafes and pastel coloured shop houses.